The Dutch police announced Wednesday that Salah Abdeslam, the Belgium-born suspect wanted in connection to Paris attacks, was caught with soft drugs in the Netherlands in February. An anti-terrorist police assault was underway in northern Paris suburbs Saint-Denis for hunting down the 9th suspect of the Paris attacks, BFMTV reported early Wednesday morning. The investigators so far believed there was nine terrorists involved in the attacks, Le Figaro reported, as the investigation conducted by the Anti-Terrorism Sub Directorate (SDAT), the Criminal Brigade of Paris and The General Directorate for Internal Security is going on. US Secretary of State John Kerry on Tuesday said Washington and Paris were ready to stage a strong military offensive against Islamic State (IS) insurgents in Syria in coming weeks after it claimed responsibility for multiple attacks in Paris on Friday night. France launched more airstrikes against Islamic State (IS) targets in Syria overnight, pounding a command center and a recruitment center in their stronghold of Raqqa, the Defense Ministry said on November 17. Three of the assailants in the Paris attacks came from Brussels, Italian media reported on Sunday, while a source close to the investigation told Belgian media that three Belgian cars were involved and one suspected assailant remains on the run. The image of one of the assailants in the Paris attacks has been released through Twitter by French police. His name is Abdeslam Salah. The provisional death toll of Paris attacks is 129 and 352 injured, among whom at least 99 in very critical situations, Paris Prosecutor Francois Molins announced Saturday evening. 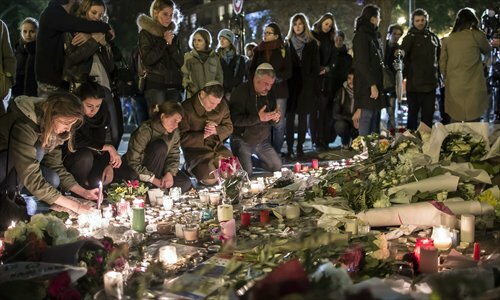 European countries have beefed up security following Friday's multiple attacks in Paris that killed more than 120 people and drew strong condemnations from the international community. Eight attackers were killed after launching multiple shootings and explosions in Paris, 7 of them in suicide bombings, the prosecutor's office said Saturday. 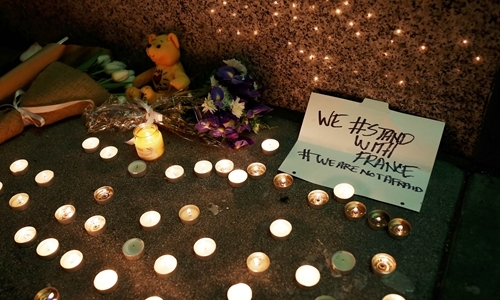 Death toll in Paris attacks climbs to 153, according to CNN. French police say they believe all of the attackers involved in the shootings and bombings in Paris are dead. "We are going to fight, and our fight will be merciless," French President Francois Hollande said when visiting Bataclan concert hall, where at least 100 people were killed, BBC reported. Two Paris police officials say security forces have ended their assault on a concert hall filled with hostages, killing at least two attackers. German Chancellor Angela Merkel said that she was deeply shocked by the attacks in Paris and declared solidarity with France. UN Secretary-General Ban Ki-moon condemned "the despicable terrorist attacks carried out today in various locations in and around Paris," and demanded "the immediate release of the numerous individuals reportedly being held hostage in the Bataclan theater," said a statement issued by Ban's spokesman. British Prime Minister David Cameron on Friday said he was "deeply shocked" by the deadly attacks in Paris, offering "thoughts and prayers" to the French people. US President Barack Obama condemned the deadly attacks currently still unfolding in Paris and said it was too early to determine who was behind those attacks. Spectators gather on the pitch of the Stade de France stadium following the friendly football match between France and Germany in Saint-Denis. A Paris police official said there were at least 100 hostages in a Paris theater following shooting and explosions at two sites in the city. Two police officials say that at least 26 people have been killed in shootings and explosions around Paris, in the deadliest violence in France in decades. 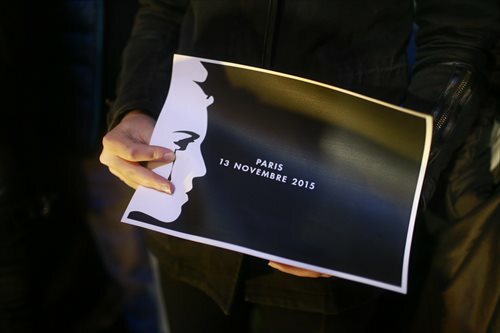 People hold slogans bearing words of support to Paris in front of the French Embassy in Beijing on November 16, 2015. World leaders joined a heavily-guarded summit in Turkey on Sunday to forge a united front against jihadist violence after the Paris gun and bomb assaults, but face stark divisions over conflict-riven Syria. The deadly paris attacks that killed 129 people and wounded 352 more have sent shock waves across the world as many countries beefed up security and tightened checks on refugees. Combating terrorism has to target terrorists precisely and can’t be ideologically driven. Chinese investors, just like their global counterparts, might have been on edge this weekend as the deadly attacks that rocked Paris on Friday evening added jitters to global markets amid ongoing uncertainty over recovery of the world economy, but any effects in the markets will probably only be in the short term. This is a delicate moment for France. The fight against terrorism requires prudent foreign policy choices at the international level. A lot also depends on the future success of intelligence services. The People's Daily condemned the Paris attacks in a commentary on Sunday, saying terrorist attacks against civilians are a blatant and extreme violation of basic human rights and civilization.